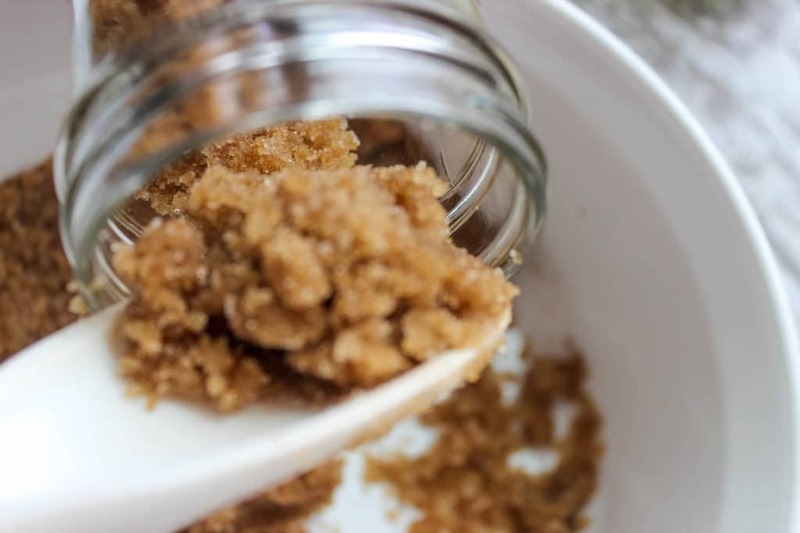 This Gingerbread Sugar Scrub smells so delicious that you’ll want to eat it! Double or triple the recipe for an easy homemade gift idea. The DIY Peppermint Sugar Scrub recipe I posted a few weeks ago has taken off on Pinterest (Thank you!). I’m so glad that the recipe is getting some good use this holiday season— there’s going to be a lot of happy scrub recipients! 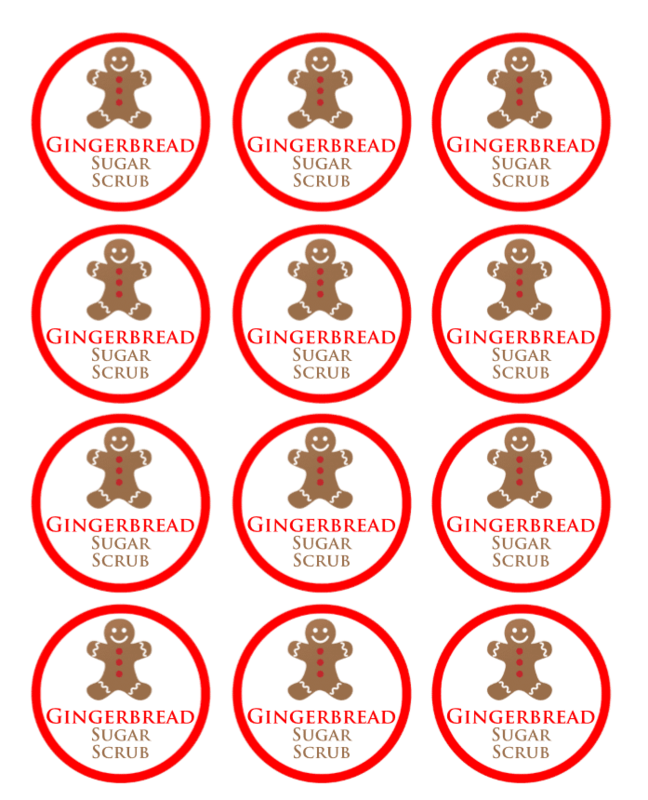 By request, I have another yummy homemade scrub, with free printable labels, that’s perfect for gift giving. The great thing about this Gingerbread Sugar Scrub is that it’s all-natural, using ingredients you probably have on hand in your kitchen … it’s so good, you could eat it! LITERALLY! 1. In a medium-sized bowl combine all ingredients except oils. 2. Gradually add coconut & almond oil until scrub reaches desired consistency (you may use more or less of stated amount). 3. Scoop Gingerbread Scrub into mason jar. To Use: Gently apply a scoopful of scrub to wet skin in a circular motion, concentrating on dry patches and rough areas. Rinse with warm water. 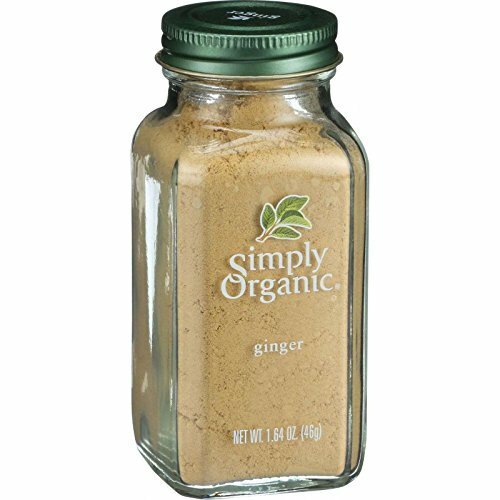 If I want to make the Gingerbread Sugar Scrub now and sale for a Christmas Bazaar in early December how long would the scrub be fresh in the jar? Oooh – if it smells like gingerbread, I’m all over it! Looks luxurious, I love the smell of gingerbread. Ooooh, that would be such a nice gift for Christmas. I could make a lot of it and put it in cute little jars for my neighbors. Thanks! I was going to buy an expensive sugar scrub the other day, and I’m glad I didn’t because now I will just make my own. What a great and easy diy gift to make for the holidays! What a great idea! Easy, economical, and I love giving and receiving personal homemade gifts! Ooo… this scrub must smell awesome. Looks like this would smell amazing! I can only imagine the heavenly scent this has!!!! Ahhhhh I am gonna have to make it!! Thanks!! These would make sweet gifts for teachers! I bet that smells yummy! I love making my own sugar scrubs. This looks so yummy! I am in the middle of making peppermint scrub this weekend! LOL! I bet that smells DELICIOUS! I want to make some! Ooh, how wonderful, it probably smells heavenly! I love that you make it your self and the jar is so cute. What other oils besides coconut oil will work for sugar scrubs? 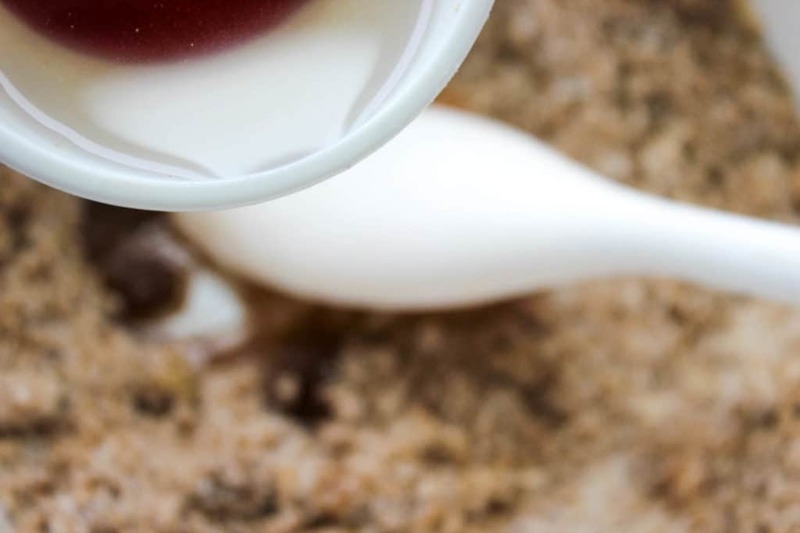 Jojoba oil is great for your skin as well as extra virgin Olive oil, almond oil or avocado oil- some Olive oil might smell a little strong for this yummy dessert smelling sugar scrub but you could mix a few of these oils too! I can already smell it!!! This is awesome. Thanks for posting. I love this! Great gift idea and I want to make some for myself! Love the scent of gingerbread. I think this would really help me get into the holiday spirit. I love homemade sugar scrubs. I’ll have to try this one. I made this and it smells delicious, but it seemed like it needed a lot more oil…was it supposed to say 1/2 cup of almond oil instead of 1/2 tsp? AH yes! There should me more oil. I usually pour until it’s right consistency I like.. Thanks! Hmmm that’s odd. 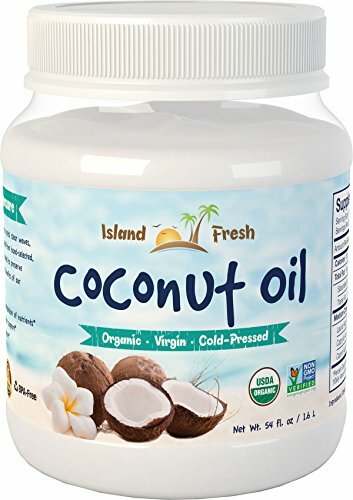 I haven’t tried it with just coconut oil and the almond oil has a nice mild scent. What scent are you getting?? LOVE THIS! Just made it because I was bored, now I’m addicted! I just made this for gifts for my co-workers. I smells just like gingerbread! Even tastes like it! 🙂 I couldn’t resist! I love it! I just made this for gifts for my co-workers. I smells just like gingerbread! Even tastes like it! 🙂 I couldn’t resist! I love it! Trying the Peppermint Scrub next! I’m going to be making theses this weekend for Christmas gifts! One question I have is how big are the labels, as in what size templates/sheets would I need to buy? About how many jars does this make? Looks awesome! Can’t wait to try it! Just curious… Once it’s made and put in jars… How long will it last? I used sunflower oil in place of the coconut oil, turned out great! To be honest, I’m really not sure. I usually use my mixture as soon as it’s made and it lasts me at least a month — beyond that I don’t know. My daughter made a similar scrub at school and it lasted in our bathroom in a container for several months until she was done using it. How many mason jars does one recipe make? Small mason jar? This “recipe” makes a couple cups of sugar scrub. I use the small mason jars. 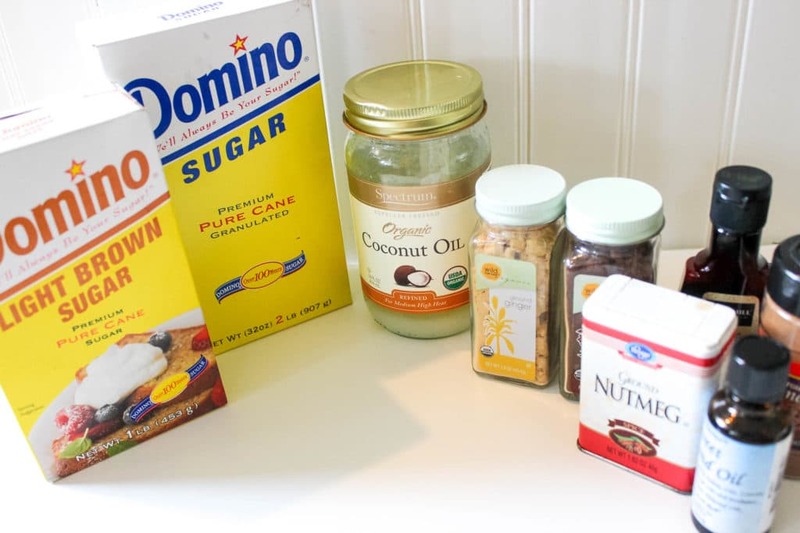 If you need more mix, you can always add additional sugar, oil and spices…..the recipe is very forgiving!! If I leave out the Almond Oil, should I add more Coconut Oil? I am going to make these as teacher’s gifts this year. I think it is perfect. What size Mason jar did you use in the picture? 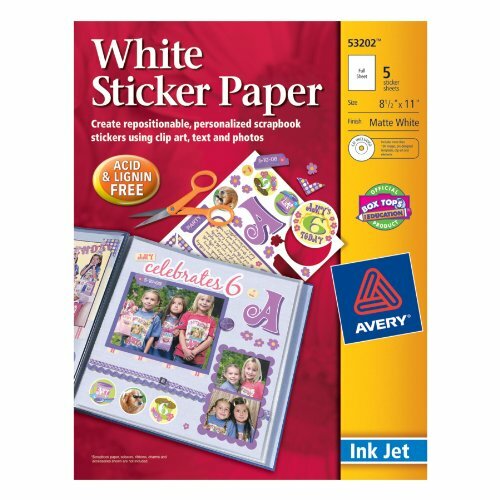 Did you use sticker pages for the labels or regular paper? Thanks! I love this idea! 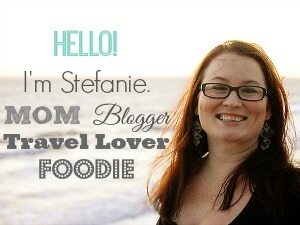 I would love to include it in my gingerbread round up for the West Valley Moms Blog! Can i use one picture and link directly back to this post? How long will the scrub keep? I am making these for co-workers Christmas gifts. 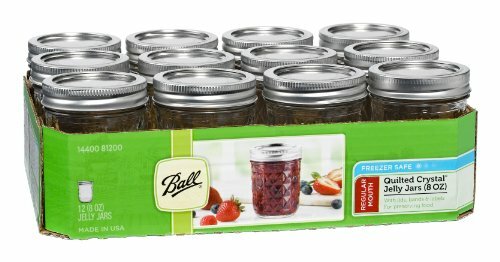 What size jars did you use and how much does each jar hold? 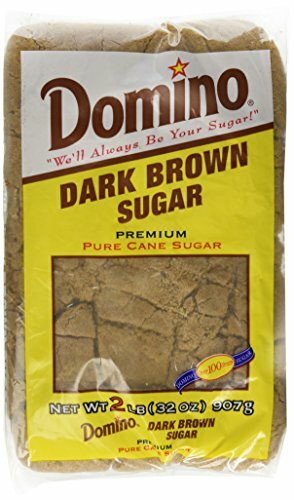 I need to make 15 so I’m trying to figure out how much, sugar, etc. I will need. HELP! I made these and the coconut oil hardened inside of the jar after I made it making some parts white. Is there any way to fix it? Or what did I do wrong? I followed the recipe perfectly! Should I put all of it in the microwave to melt the coconut oil again? Anybody else have this issue? What could be used instead of Almond oil to have the same effect? Nut allergy in family. Also I have coconut oil but it is solid, I know I can warm it enough to make it liquid, but won’t it go back to a solid? How long does this keep for? Coconut oil melts at room temperature. 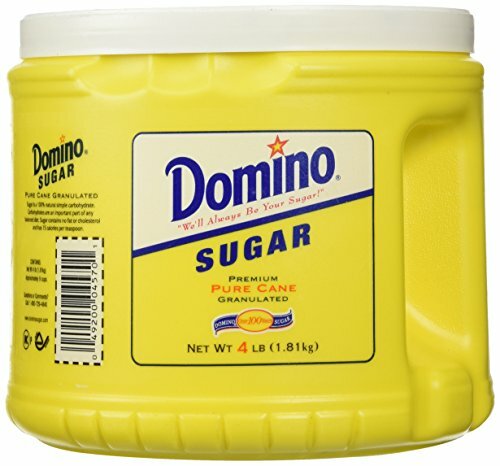 Once you scoop it out of the jar and start mixing it with the sugars it will melt, there is no need to melt it in the microwave before hand. To the poster above who has white spots, is it just chunks of coconut oil that weren’t incorporated well into the sugar mixture? You could take the scrub out of the jar and mix it again, I usually mix with my hands to break up any chunks of oil or sugar. Hope this helps! I love making scrubs, I’m going to try this one today. I forgot to add, I plan on just leaving the Almond oil out because I have everything else. The scrubs I’ve made in the past have just been sugar, coconut oil and a few drops of essential oil for scent, they turn out great. Oh this was so easy and fast to make!!! I made it for my kids’ teachers and friends. I live in Germany, so it was something really lovely and different. The gingerbread really smells like Origins Ginger – which is a great advantage! Thank you so much!!! This a question: what if you can’t find all spice? I did this for Christmas gifts this year and omg it is amazinggggg!! It smells just like a gingerbread cookie. I didn’t go by measurements just because I didn’t have the measure cups and I also didn’t have the almond oil and the all spice but there is seriously no way you can go wrong. Hope my family and friend love it as much as I do!! Thank you for an easy and delicious recipe for DIY gifts! I made a lemon sugar scrub as gifts for Mother’s Day and people are still talking about it so I will try this for Christmas! 🙂 I attached lemon chamomile tea bags to my lemon scrubs. I am attaching vanilla chai tea bags to this gingerbread scrub! I made this for little Christmas gifts and everyone loves it so much they were bugging me for more so i made another batch and attached the recipe to it so they can make it them selves next time!! haha best face scrub ive ever used!!! Do you know how long the scrub will last? I am highly allergic to all tree nuts and tree nut oils. I want to make your gingerbread scrub and wonder if there is something I can substitute for the almond oil?? You can use any carrier oil! Apricot Kernel, Grapeseed and Jojoba are all nut free. Do you smell the almond oil? I don’t have any of the other oils you suggested? I have extra Virginia and coconut oil? Help! I made it exact to the recipe, but mine has the consistency of cake batter. What do I do? Hi Shelley, add more sugar until you get the desired consistency. I and also my buddies came reading through the good things found on your web site while suddenly developed a terrible suspicion I had not thanked you for those techniques. These young men appeared to be for that reason very interested to see them and have now in reality been taking pleasure in those things. Thank you for actually being considerably kind as well as for opting for such perfect subject matter most people are really wanting to be informed on. Our honest apologies for not expressing appreciation to you earlier. This was easy to do – one recipe made slightly more than 2 1-cup mason jars. Followed exactly, however, while it looks like gingerbread, it smells only of coconut oil. It says “other carrier oil”. Can you suggest another oil that won’t mask the gingerbread smell? Thanks for sharing! I’m not very crafty but I think I could pull this off! How long does it last?